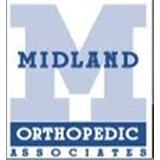 Midland Orthopedic Associates (La Grange Highlands) - Book Appointment Online! Since 1964 the physicians of Midland Orthopedic Associates have provided our patients with the highest quality orthopedic care. Our board certified and fellowship trained physicians provide advanced, comprehensive subspecialty orthopedic care in areas including sports medicine, hand shoulder and upper extremity, hip and knee, foot and ankle, total joint replacement, arthroscopic surgery and trauma care and have expertise in treating injured workers under workers´ compensation. At Midland Orthopedic Associates our physicians apply the latest state of the art techniques in order to return our patients to their active lifestyle. The physicians of Midland Orthopedic Associates take pride in providing value for our patients and emphasize a patient centered approach including access and coordinated care which has resulted in our physicians having among the highest patient satisfaction rates in the nation. Very nice and professional. He explained all the issues and well as answered all my questions. I would definitely go back and see him again. Very nice visit, pleasant, professional, informative and helpful.